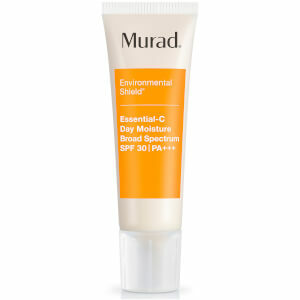 Revitalize your complexion with the Environmental Shield Bright Beginnings Starter Kit from Murad. Housed in a branded box, the skincare kit combines four high-performance products that work in tandem to lighten, brighten and protect skin for an even, youthful-looking visage. Infused with gentle exfoliating beads, the antioxidant-rich cleanser eliminates excess oil and dead skin cells without over-drying or uncomfortable tightness. Vitamins A, C and E defend against daily environmental damage, whilst Allantoin soothes and hydrates. Expect a healthy-looking, radiant complexion with a refreshing, clean scent of Mandarin Orange, Basil and Grapefruit. 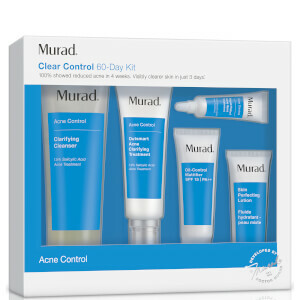 A fast-acting treatment that works to improve skin tone and texture. Powered by Hydroquinone (a skin-lightening ingredient) and Glycolic Acid (an Alpha-Hydroxy Acid derived from Sugar Cane), the patented formula helps to target unwanted discoloration and protect against future damage for a clearer, brighter complexion. With a refreshing citrus fragrance to rejuvenate skin, the quick-absorbing face cream delivers powerful antioxidants to help fight signs of aging, including fine lines, wrinkles and dark spots. 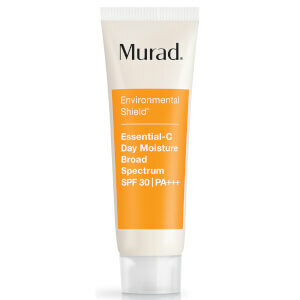 Provides broad spectrum protection to shield skin from harmful UVA/UVB rays and damaging environmental aggressors. 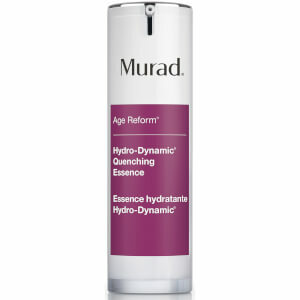 An effective hydrator that allows you to wake to radiant skin. Concentrated with Marrubium Plant extract, the moisturizer delivers potent antioxidants to skin, which are able to detoxify and neutralize pollutants, as well as improving skin’s natural defence system. Vitamin C visibly brightens the complexion and improves skin tone, whilst effective botanicals reduce the appearance of fine lines and wrinkles. Serum: Massage evenly over clean face, neck and chest in the evening. Day Moisture: Apply liberally to face, neck and chest. Overnight Moisturiser: Massage evenly over face, neck and chest. Cleanser: Water/Aqua/Eau, Cocamidopropyl Betaine, Disodium Laureth Sulfosuccinate, Glycerin, Butylene Glycol, Aminomethyl Propanol, Polysorbate 20, Acrylates/C10-30 Alkyl Acrylate Crosspolymer, Panthenol, Phospholipids, Tocopheryl Acetate, Retinyl Palmitate, Ascorbyl Palmitate, Ascorbic Acid, Chitosan, Rice Amino Acids, Zinc Aspartate, Allantoin, Sodium PCA, Lactose, Cellulose, Hydroxypropyl Methylcellulose, Propyl Gallate, Disodium EDTA, Phenoxyethanol, Caprylyl Glycol, Chlorphenesin, Limonene, Linalool, Citrus Aurantium Dulcis (Orange) Oil, Citrus Nobilis (Mandarin Orange) Peel Oil, Ocimum Basilicum (Basil) Oil, Citrus Grandis (Grapefruit) Peel Oil, Ferula Galbaniflua (Galbanum) Resin Oil, Fragrance (Parfum), Iron Oxides (CI 77492). Serum: Active: Hydroquinone 2.0%. Inactive: Water (Aqua), Alcohol Denat., Glycolic Acid, Butylene Glycol, Glycerin, Methyl Gluceth-10, Dextran, Hexapeptide-2, Rice Amino Acids, Aloe Barbadensis Leaf Juice, Urea, Yeast Amino Acids, Trehalose, Inositol, Taurine, Betaine, Zinc Gluconate, Ascorbic Acid, Chitosan, Propyl Gallate, Nonoxynol-10, Lecithin, Tocopherol, Magnesium Ascorbyl Phosphate, Dipotassium Glycyrrhizate, Palmitoyl Hydroxypropyltrimonium Amylopectin/Glycerin Crosspolymer, Vitis Vinifera (Grape) Seed Extract, Chitosan PCA, Allantoin, Polyquaternium-10, Sodium Metabisulfite, Sodium Sulfite, Sodium Hydroxide, PPG-26-Buteth-26, PEG-40 Hydrogenated Castor Oil, Hydroxyethylcellulose, Disodium EDTA, Limonene, Linalool, Fragrance (Parfum). Day Moisture: Active: Avobenzone 3.0% , Homosalate 6.5%, Octinoxate 7.5%, Octisalate 5.0%, Oxybenzone 2.0%. Inactive: Water (Aqua), Butylene Glycol, Stearic Acid, Diisopropyl Sebacate, Cocoglycerides, Lauryl Lactate, Glyceryl Stearate, PEG-100 Stearate, Isodecyl Neopentanoate, Dimethicone, Cetyl Alcohol, Cetyl Phosphate, Urea, Yeast Amino Acids, Trehalose, Inositol, Taurine, Betaine, Phospholipids, Retinyl Palmitate, Tocopheryl Acetate, Ascorbyl Palmitate, Pelvetia Canaliculata Extract, Ectoin, Ginkgo Biloba Leaf Extract, Vitis Vinifera (Grape) Seed Extract, Passiflora Incarnata Extract, Tetrahexyldecyl Ascorbate, Sodium PCA, Panthenol, Tripleurospermum Maritimum Extract, Zinc Gluconate, Ethyl Linoleate, Magnesium Aluminum Silicate, Xanthan Gum, Aminomethyl Propanol, Disodium EDTA, Phenoxyethanol, Caprylyl Glycol, Chlorphenesin, Limonene, Linalool, Fragrance (Parfum), Yellow 6 (CI 15985), Red 33 (CI 17200). Overnight Moisturiser: Water/Aqua/Eau, Glycerin, Shea Butter Ethyl Esters, Dicaprylyl Carbonate, Isodecyl Neopentanoate, Jojoba Esters, Glyceryl Stearate Citrate, Synthetic Beeswax, Dimethicone, Hydrogenated Palm Kernel Glycerides, Ectoin, Marrubium Vulgare Extract, Allantoin, Zingiber Officinale (Ginger) Root Extract, Brassica Campestris (Rapeseed) Sterols, Hydrolyzed Jojoba Esters, Tetrahexyldecyl Ascorbate, Hordeum Vulgare (Barley) Extract, Cucumis Sativus (Cucumber) Fruit Extract, Helianthus Annuus (Sunflower) Seed Extract, Urea, Yeast Amino Acids, Trehalose, Inositol, Taurine, Betaine, Bisabolol, Hydroxyphenyl Propamidobenzoic Acid, Hydrogenated Palm Glycerides, Xanthan Gum, Propylene Glycol Dicaprate, Acrylates/C10-30 Alkyl Acrylate Crosspolymer, Hexyldecanol, Pentylene Glycol, 4-t-Butylcyclohexanol, Cetylhydroxyproline Palmitamide, Stearic Acid, Disodium Carboxyethyl Siliconate, Aminomethyl Propanol, Disodium EDTA, Ethylhexylglycerin, Phenoxyethanol, Fragrance (Parfum), Limonene, Linalool, Benzyl Salicylate, Titanium Dioxide (CI 77891). i think its good value for money for such a great product. Keeps skin smooth and soft, i will give more information after using it for a few more months.